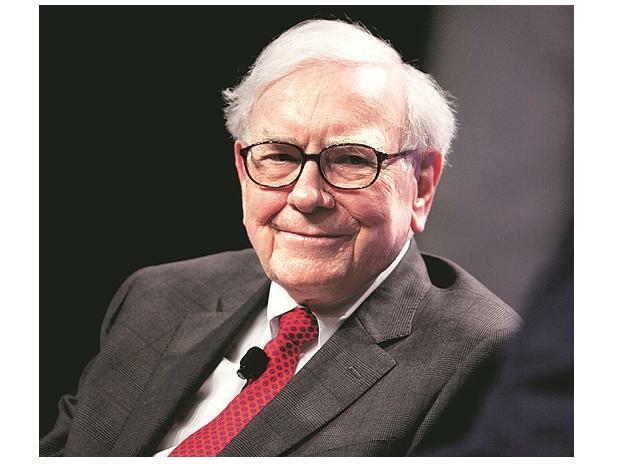 Warren Buffett on Saturday appeared to fault U.S. President Donald Trump for taking too much credit for the nation's economic growth, while acknowledging that market conditions are making it tough for his Berkshire Hathaway Inc to find more big companies to buy. Accompanying the letter was more bad news, that sinking stock prices and a big writedown for the company's Kraft Heinz Co investment fueled a $25.39 billion fourth-quarter net loss, and caused Berkshire to post its lowest annual profit since 2001. But many of Berkshire's more than 90 businesses, such as the Geico auto insurer and BNSF railroad, performed well, and quarterly operating profit rose 71 percent. Buffett uses his shareholder letters to focus on Berkshire's operating businesses, tout the strength of the U.S. economy, and criticize thinking and business practices that get in the way. The 88-year-old said Berkshire's success has been in part a product of "the American tailwind" that has enabled the country to enjoy "almost unbelievable prosperity." "It is beyond arrogance for American businesses or individuals to boast that they have 'done it alone,'" Buffett wrote. The United States, according to Buffett, should "rejoice" when other countries have bright futures. "Americans will be both more prosperous and safer if all nations thrive," he wrote. "At Berkshire, we hope to invest significant sums across borders." Thomas Russo, a partner at Gardner Russo & Gardner in Lancaster, Pennsylvania and longtime Berkshire investor, said: "It sent an extraordinarily strong message about how open markets and free trade end up helping all participants do better." Buffett said the near-term prospects for more acquisitions were "not good," because prices are "sky-high" for businesses that had decent long-term prospects. While Buffett said the thought of an "elephant-sized" acquisition causes his heart to beat faster, the "disappointing reality" was that Berkshire would likely in 2019 use some of its $111.9 billion of cash to buy more stocks. Those declines were a major factor in Berkshire's huge quarterly loss, and its 91 percent drop in full-year net income to $4.02 billion from $44.94 billion the prior year, when it benefited from a lower corporate tax rate. Results also were hurt by a $3.02 billion writedown for intangible assets that Buffett said was "almost entirely" attributable to Kraft Heinz, in which Berkshire owns a 26.7 percent stake. While dated Saturday, Buffett's shareholder letter is written well in advance, and did not discuss Kraft Heinz's travails or the day-to-day management of that company by 3G Capital, the Brazilian firm and Buffett business partner. Berkshire bought back about $418 million of its stock in the quarter. It has recouped some losses on its stock holdings this year, though the Standard & Poor's 500 remains 4 percent below where it was at the end of September.